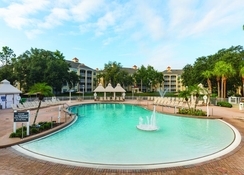 Offering a “villa lifestyle” experience in the Florida sun, the picturesque Sheraton Vistana Resort Villas is an attractive family-friendly property situated in Lake Buena Vista, Orlando. 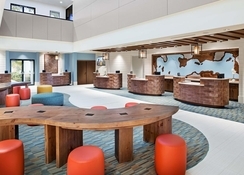 This Disney Good Neighbor Hotel puts its guests close to all of Central Florida’s magical family attractions like Downtown Disney Marketplace, Walt Disney World Resort, Disney Quest and Magic Kingdom, Orange County Convention Centre, Epcot, SeaWorld Orlando, Universal Studios and Islands of Adventure, all of which can be reached within a short drive. The one- and two-bedroom villas speak of luxury, furnished with modern amenities and fully equipped kitchens. The dining options include everything from buffet restaurant to sports bar and grill. Set in a quiet and tranquil area, Sheraton Vistana Resort Villas offers a host of recreation and leisure choices, including 7 pools, sauna, scuba diving lessons, tennis and basketball courts, 3 Sheraton Fitness centres, market place, children’s club and much more. 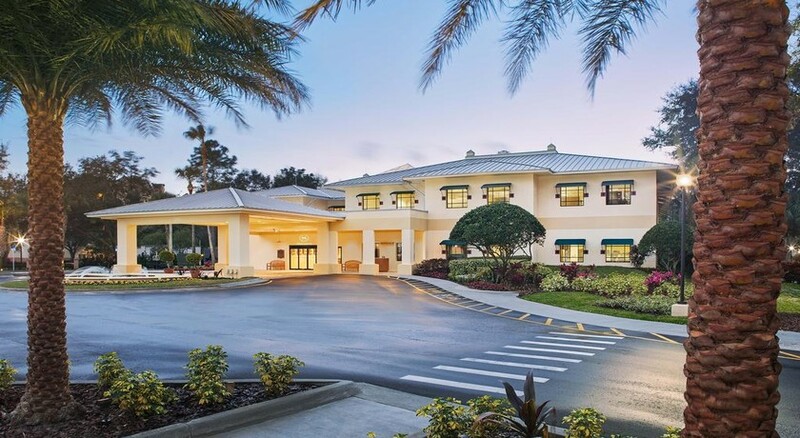 Just 4.8 km from the Walt Disney World entrance, The Sheraton Vistana Resort is ideally located enjoying close proximity to all major attractions in the area. The SeaWorld Orlando lies at a 10 minutes’ drive from the resort, while the Universal Orlando Resort is just 15 minutes away. Also, guests can choose to visit Disney Springs, which is located 3.2 km away. 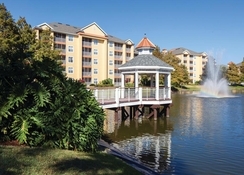 The resort is located off Interstate 4 and is 25.6 km from Orlando International Airport. At Sheraton Vistana’s one- and two-bedroom villas, guests can enjoy a relaxing residential experience. Presenting beautiful garden or water views through private screened-in balcony or patios, these welcoming villas combine contemporary decor with state-of-the-art technology, such as complimentary high-speed internet access and a Bose home theatre system. The spacious one- and two-bedroom premium villas feature a dining table for six and a full kitchen with a cooktop, oven, microwave, full-size refrigerator and dishwasher; while the attached bathroom ensures relaxation with a whirlpool. And the end of a memorable day, a Sheraton Signature Bed promises an unrivalled night’s sleep. 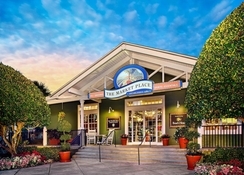 Connect over a casual, but memorable meal at the Sheraton Vistana Resort Villas, Lake Buena Vista/Orlando, where indoor and outdoor all-day dining options invite guests to take advantage of Orlando’s sunshine and the resort’s lush landscape. For an easy bite or snack, stop by Zimmie’s Casual Eatery & Sports Bar, where you can watch the big game on large TV screens. 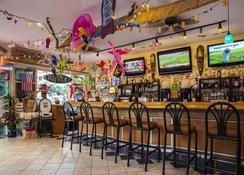 The Tacky Tiki Bar and Grill adds to the inviting options with a laid-back vibe and a variety of crowd-pleasing favourites. Guests can also dine and sip poolside, thanks to Castaways Bar & Grill or opt for an indoor meal with grab and go options at the Market Place. For some light snacks and a cocktail, head to The Outpost, located near the tennis courts. To ensure that its guests enjoy active and fun-filled days, the Sheraton Vistana Resort houses seven swimming pools, hot tubs, fun water features, sun terraces with sun loungers and cabanas. 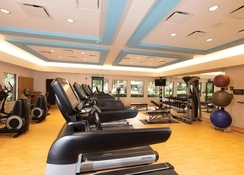 For the sports enthusiasts, the resort offers 3 games rooms, 13 lighted tennis courts, shuffleboard courts, an on-site 18-hole miniature golf course and has arrangements for playing basketball and volleyball. To relax after a busy day, guests can head to the spa where they can enjoy the whirlpools and recline in the saunas and steam room. Children are well catered for, with their own pool, playground and the scheduled family events run by the resort. There are activities for the whole family, including from scuba diving, pool parties and bike rentals. To make the evenings special, the resort organizes weekly events such as barbeques and karaoke night.